Hearing the sound of applause ring throughout the throne room, Miss Leonora snapped around, turning her gaze towards the source────towards the throne. On the throne that the No Life King had been sitting on earlier was an eerie patchwork doll. Well, it’s a doll made by me though, since I had the time. I tried making it with Tena as the model, but for some reason I’ve always been bad at sewing, so it didn’t come out the way I wanted. I tried getting Tena to have a little look to see what she thought of it, but I seriously made her cry. Was it that big of a shock that a doll like that was based on her, or was it simply because she was afraid of it? I still don’t know. I thought about throwing it away… or rather, I did throw it away, and countless times too, but it’d return before I knew it. Mn, seems like it’s cursed. It’s because it took me an hour to make it, so I accidentally enchanted it. I used teleport to place it on the throne, but to be honest there isn’t much meaning to the doll. I apparently earned the girl’s resentment sometime somewhere, so I wanted to try talking to her, but it was scary to meet her directly, so I decided to talk to her through the dungeon core using its voice reception system. But in that case she probably wouldn’t know where to face when talking, so I left something random as both a target for speaking, and as my representative. Once I talk to her, my existence will be revealed, but well, even in the worst case scenario, from what I can tell from the battle, if I prepare a number of No Life King level monsters, I should be able to manage somehow. Well, that’s right I guess. I’d be extremely happy if somebody took this cursed doll away though. Even if I give it away, there’s a high chance that it’ll come back though. A dog, huh. Besides leaving the defence of the 10th floor to him────it might have been a ‘her’ though────I more or less left him alone, so even now I’m not sure if we had something like a master-servant relationship. Miss Leonora glared at the doll. Even though she was all beaten up from her deathmatch with the No Life King, that dreadful gaze of hers projected on the screen made me shiver… Not. She probably intended on glaring at me through the doll, but the camera for the dungeon core isn’t in the doll but looking at her from an angle instead, so it didn’t really feel like I was being glared at. Even if I did have the chance to give my name, I have absolutely zero intention of calling myself the Evil God. But still, I’m kind of worried about the rumour in Riemel. Why is it being spread that I’m the Evil God? But if there wasn’t something to start it off, I don’t think such a rumour would appear though. When I cleanly denied it, Miss Leonora started to have a cold sweat. Becoming fidgety and restless, her gaze began wandering here and there. When I pointed that out, she reacted with a start, and her unrest intensified. Almost like a small child frightened by their parent’s scolding. I didn’t tell a lie. I can create three each day, so it’s not really a big deal though. I don’t really mind, but her reactions are interesting, so I’ll try pressuring her a little. Miss Leonora groaned with a sour expression at my words. Ah, crap. Did I get a little carried away? Just now her face turned red and showed her indignation. It seems that Miss Leonora is extremely picky about master and servant relationships. I said that earlier as half a joke and want to take back my words, but if I say ‘Just kidding.’ at this point, she’d get angry, huh. Geh-, if you really did that I’d be troubled, you know? In other words, she wants to have an interview with me? A ploy for a sneak attack…? Doesn’t seem so. She seems bad at that sort of cunning. Well, once she meets me she’ll probably get let down and lose her intention of obeying me. I’m level 1 after all. I’ll head down now, or so I wanted to say, but she cut me off and declared with a determined expression. H-, hey… Unaffected by me trying to stop her in a fluster, Miss Leonora made way into the path behind the throne. It seems that she’s the type of person who becomes really hard to talk to once she’s decided on something. No matter how strong she might be, even by the quickest estimates it’ll probably take her 2 days to get down to the 31st floor. On top of that, the 11th to 20th floors are puzzle-solving floors that you can’t brute force your way through, so if she gets stuck on one, it’ll take forever. Do I have to keep waiting for her all that time? Having said that though, going by how she looks, she doesn’t seem like she’ll listen to a thing I say at this point. It can’t be helped. I’ll have her continue until she feels satisfied, and once she gives up I’ll give her an invitation. Miss Leonora had managed the splendid accomplishment of reaching as far as the 10th floor in a day, but as expected, from the 11th floor onwards, she fell into a slump of 1 floor per day. Day 1, the 11th floor quiz floor. A floor where you’d be given 10 questions with 3 choices each, and progressed by getting them correct. If you made a mistake, you’d be forcefully sent to the beginning of the floor and forced to redo it all. Day 2, the 12th floor moving ground floor. When you stepped on a panel with an arrow, you’d automatically be moved that way, and flying was forbidden. Unless you carefully planned out where you’d get on, you wouldn’t be able to progress like you wanted. On a game screen where you could look down from above, it was a puzzle that you’d immediately be able to figure out with just a little thinking, but it might be quite difficult once it’s all spread out in front of you. Day 3, the 13th floor rotating floor. Ah-, when was it that I said that I wasn’t a samurai again? As you’d expect it was really too pitiful, so I teleported in a cup of water for her. So she said, but however you looked at it, she had lost quite a bit of spirit compared to before. Even looking on as a bystander, you could tell that her spirit was about to break. By the way, because Miss Leonora assumed that it would be a shallow dungeon, she came in almost completely empty handed, and of course she didn’t have a single ration with her. I found that I couldn’t just watch her challenge the quizzes while her stomach growled, so I sent in bread and soup. On the first day, Miss Leonora was stubborn and wouldn’t eat the food, but once the second day came, perhaps because she couldn’t bear the hunger, she reluctantly ate. I don’t want to hear that from somebody who didn’t bring any provisions. 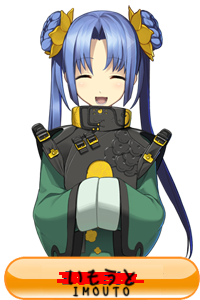 To begin with, there’s no other dungeon that provides reception as good as 3 meals a day, so I’d like her to be a little thankful. Ah-, has she finally realised? Honestly, I think she should have asked this to begin with though. Knowing how many floors there are would provide a hint on how to conquer the dungeon so I can’t really make it public, but if it’s just her then I guess it’s fine. From our conversations so far, I can tell that she isn’t the sort to spread this around after all. Miss Leonora paled, speechless. Despite having advanced through the dungeon while enduring hardships, she still hadn’t even reached the halfway point, so I guess it’s natural. Having said that, even if the 21st to 30th floor exist, they still aren’t finished yet, so the hardest part of the dungeon are the middle floors that she’s on right now, but I don’t think I’ll tell her. Being poked where it hurt, Miss Leonora fell into silence. Seeing her say that with a reluctant expression, I patted my chest in relief. It looked like conquering the 11th floor and down had amassed quite alot of resentment, so if she made it to the bottom floor by her own strength I’d probably get beat up, so I was secretly trembling with fear. She probably isn’t shameless enough that she’d beat me even after giving up and then being invited here. From the very beginning, I didn’t intend on having her act as the midboss, but having talked to her for these three days, I know that she’s a pleasant person, and I’d be happy if we could build a friendly relationship. At first I had planned on inviting her into the residential area, but just in case by some chance negotiations got violent, I decided to meet her somewhere else. Well, judging by her personality, I don’t think that’ll happen though. The 30th floor boss room is just the room right now with no boss in it yet, so it’s just right. By the way, I’ve already deployed the 20th floor boss. I summoned a living armour made of orihalcon and tried enchanting it with divine protection while I was at it, but it turned into something brutal. I was thinking of placing on the 30th floor a dragon that’s so common to fantasy worlds, but since I was doing it anyway, I might as well make it the strongest one, I thought, so I’m saving up mana in the dungeon core right now. Eh? Wasn’t I limiting the monsters to non-living ones so that I wouldn’t kill anyone, you ask? Well, heroic warriors who could make it this far will probably be fine. …Mn? I thought that non-living monsters would be safe since they wouldn’t disobey me without an ego, but when he was defeated by Miss Leonora, the No Life King spoke, didn’t he? …I wonder why. I moved to the 30th floor and then sat down properly on the throne. Neither my personality nor clothing have any trace of dignity, so I have to try my best to look even a little more proper. Speaking of which, I’ve established thrones like in the 10th floor boss room, and in the 20th and 30th as well, but thinking about it carefully, neither of the bosses are the right size to sit on a chair made for humans… They ended up being useless. Well, they’re serving me like this now, so maybe they were useful after all. While I was thinking about things, the large doors opened with a groan. The teleport circle that Miss Leonora used brought her to the room before this one, so she’s properly arrived. When I turned to look at the entrance, I could see a girl with silver hair in a red armoured dress. I waited for her to enter the room, but she showed no signs of moving at all. Could it be that she can’t enter unless she’s given permission? Or so I was wondering, but she eventually slowly made way into the room. From my point of view, she was pale enough that I was worried for her, and I could see sweat was running from her face. She walked slowly and after a few minutes arrived at a place 10 metres away from me, when she stopped still. It’ll be hard to talk like this, so I’d have liked her to have come closer, but well, it’s not a distance that we can’t hear each other, so I guess this is fine. She suddenly dogeza’d at me. Speaking of which, I get the feeling that the explanation for the mystic eyes said something about being strong enough to have a demon king dogeza. A terror strong enough to make the daughter of the demon king dogeza as well… perhaps? Why did it turn into a scene where I looked like I was going to attack the Demon Race Territory? I haven’t the tiniest intention of doing that, you know. I got irritated at the conversation going nowhere, and unconsciously pulled out my tantou and threw it. The cursed tantou pierced right in front of her eyes, and Miss Leonora let out a voiceless scream. I spoke a little overbearingly and forced her to stand. Miss Leonora snapped up and stood still at attention. Miss Leonora who seemed truly relieved even had tears form at her eyes. I’m not mad at what’s happened up until now, but rather, it’s the back-and-forth we had just then that annoyed me, you know. The other day I said it half-jokingly, but if she actually did that, I’d be troubled. If the daughter of the demon king did something like work as a mid-boss, I’d be liable to make enemies of both the human race and the demon race. As for the 10th floor boss, I can just create a No Life King again. Or rather, after Miss Leonora continued down to the 11th floor, I’d already created a new one and deployed him already. Mysteriously he knew my name from the start, but I wonder why. It was from beyond the screen, but the three days that I spent talking to her was quite enjoyable. It’s a shame that she’s frightened because of my skill, but even so, I’d like to think that there’s room to get along enough that she won’t run away even so. In the worst case scenario, since I already know that we can talk to each other normally once separated across the screen, both considering my feelings, as well as her position as the daughter of the demon king, if possible I’d like to get along with her. My first friend in this world, GET. I didn’t threaten her into it. The “pressuring” is actually “repeatedly attacking with questions etc. to press her for an answer”. 20th floor The Pursuer, 30th floor is Gaping Dragon? Pfffft, obviously 30th floor is Sinh, the Slumbering Dragon. Cuz Pikachu and Snorlax(Ornstein and Smough) is reserved somewhere between 40th to 50th floor. Ahahahaha…. Is there going to end up a holy god coming to raid, because everyone else will just dogeza themselves immediately once they seed her eyes? I mean seriously. Actually. It might work on the holy gods too…. dammit. But average relative to the most powerful evil gods maybe…? Ah-, has she finally eralised? I’ll head down now, or so I wanted to say, but she cut oe off and declared with a determined expression. I don’t need nor trust editors. Only readers who pay me back by writing happy comments and pointing out spelling mistakes. I don’t usually see this many typos (most are typos anyway) here, so we can guess that the chapter was rushed for our sake, due to the previous cliffhanger. Leonora has joined Anri’s harem! Leonora has gained harem status: [Friend (Forced)]! Level up! Anri has gained Harem Lv. 2! Anri has received the title [Apprentice Harem Master]! Pretty sure at this point it’d be “Flowers In Both Hand”, not harem master…yet. A child of yakuza asked school yankee to be her friend lol. is it a “rom” or “room”? Demons should be fine with evil god, right? Hopefully she can finally get some more people she can move around with normally, maybe regarded as something like nobility or so but much better than in the human towns at least. Thanks for the chapter. And sleep! Oh the evil god aura/eyes… Poor Anri will eternally be misunderstood. Thanks for the chapter. While I was thinking about things, the large doors opened with a Groan. P.S. Sleep, more so wanted if at least eight hours, since translating and editing is mentally tiring if not physical: and motivation, do thing at your own pace. wow thanks for this one too. Leonora was forced! She’s not “friends” with an evil god XD. It seems like she’s the muscle head type haha. Though it seems like all of the adventures in this world are like that. The hero party will… probably never get to the 13 floor. Love it! Thank you for the hard work! This might be my favorite chapter in the series because of “Anti-musclehead measures”. Lol. More likely the church incident + the swords witch divine blessing + the rapid growth of the dungeon + the miasma. Yep. I know. Was just making a joke. This certainly is an awesome novel. Many thanks for the author and the translator! she doesn’t seem like she’ll to a thing I say at this point. I wonder. .. this is good enough to be a LN at this time… has the author confirmed an adaptation? You are so amazing! I hope you sleep for 20 hours! Canaria says thanks but please sleep. I get the feeling that her monsters are sentient and absolutely loyal to her. THANKS 4 THE CHAPTER FLUFFY! Thank you for the chapter, guhehehehe. Thanks for the translations The Esteemed 5th [REDACTED]. Prediction; Anri gives Leonora divine protection, she’s not afraid of Anri any more and becomes strong enough to take over humanity. I specially liked this chapter. Am I the only one who wants something along the lines of Otome but instead of the main character being the protagonist, their one of the potential lovers? Anri’s puzzles reminded me of the shadow games of Yu gi oh. She broke the will of the demon king daughter lol. but didnt the shadow games breaks/ seals the souls? Boss! How about putting a human shaped boss making it significantly agile ? Thats gotta be interesting eh ? There is a human shaped boss. It’s the enchanted black iron golem on the 20th floor. But that aint agile ? so even now I’m now sure if we had something like a master-servant relationship. >By the way, I’ve already deployed the 20th floor boss. I summoned a living armour made of orihalcon and tried enchanting it with divine protection while I was at it, but it turned into something brutal. Orihalcon? This isn’t Golden Sun. Despite the Katakana, it should be Orichalcum. This one’s a particular pet peeve of mine. The only game I’ve played that used Orichalcum was Maplestory where it was Orihalcon. I’ve been playing it for 10 years now, and still occasionally log on to mess around, so I don’t care. To me, it’s Orihalcon, it’s always been Orihalcon, and I’ll always write Orihalcon. The day when we find out that ‘Orichalcum’ actually exists, I’ll start spelling it the historical way. Is a thing. We don’t know exactly what its composition is as all references are from the likes of Ancient Greece, but “Orichalcum” is [most likely] an actual thing while searching for “Orihalcum” is either assumed to be a misspelling or from a game. Whatever alloy it may be, it’s certainly not the magical metal that Anri’s golem is made of. Most definitely. Probably. If we ever actually find some, then we’ll find out for sure if it’s magical or not. Until then, this one can only hope that it is. Because being able to use magic would be awesome. The Evil God will regret summoning Anri when she overthrows him accidentally. Thank you very much for the chapter. I’m glad that NLK was revived. … I have gained new insight into how to acquire friends. Thank you Anri-sama! I shall begin immediately! Until further evidence arrives, I shall assume brutal = adorable. THIS ONE THANKS YOU FOR YOUR TIME AND EFFORT IN PROVIDING US THIS FEAST OF WORDS!! IT WOULD PLEASE THIS ONE GREATLY IF THE ESTEEMED 5TH HOLY SHEEPRABBIT WOULD CONTINUE TO TRANSLATE THIS TALE TO COMPLETION!! The people in town probably linked the Church and Dundeon accidents together and presumed that Anri was Evil God. Well, she indeed had a spec of Evil God though, so they’re not entirely wrong. Will this encounter developed into Yuri, hope it’s. This one would also be pleased with such a development, but unfortunately this one remembers Anri’s inner monologue whilst purchasing Tena. It was not implied in the slightest that Anri is such a person, though this one will hold out hope that things may change. Grats on your Dad’s birthday! Hope you guys went someplace nice to celebrate. My parents tend to be a bit fixed in their patterns, it’s either a Japanese sushi/sashimi or German birthday dinner. Thanks for the translation, and the info on how wordpress works. Thanks for another great chapter! Will there be long to wait for ch17? I just woke up. After some housework, I’ll get to it. After 17 I’ll take a short break, since that’s when Leonora departs on her journey, so the story changes a little bit again. Short as in a day to tl something else. Much thanks for the translated chapter! I like the 13th floor, would be better if it was 3 dimensional rather than 2, with 6 exits instead. Or perhaps teleportation doorways which change destinations every month. Lol, that doll. I can somehow imagine it being possessed and gaining conscience as a result of the enchanting, then behaving as the spokesperson for ari. Or perhaps the ‘final’ boss. 21st to 30th floor exist > exists or existed? I’d probably get beat up, > beaten? boss room is just the room right now > the to a? slowly made way > made her way? when she stopped still. > where? Kinda late but ‘The “pressuring” is actually “repeatedly attacking with questions etc. to press her for an answer”.’ The word for this is ‘pestering’. Either way is fine though. Ah, true. You got me there.